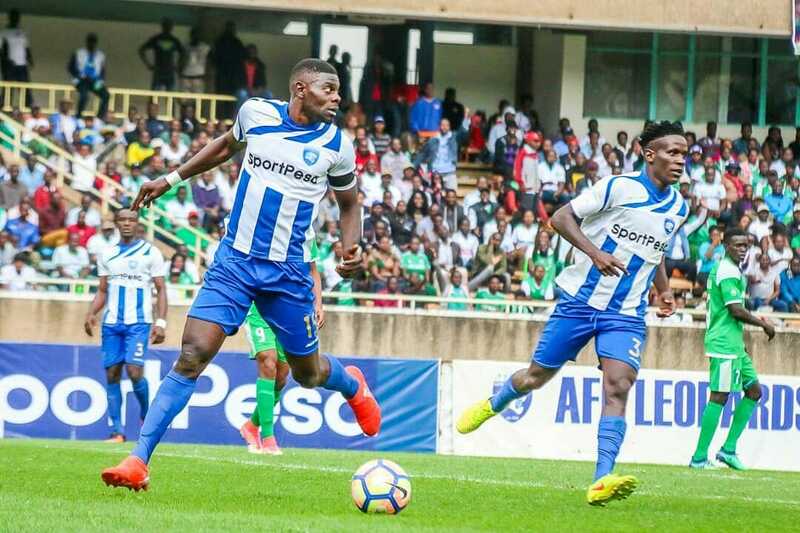 AFC Leopards will approach the next Mashemeji Derby on a winning note after beating Thika United 2-0 in the Kenyan Premier League at Thika Municipal Stadium Saturday. Two second half goals from Nigerian import Alex Orotomal and red hot Ezakiel Odera sealed the fourth win on the trot for the coach Rodolfo Zapata’s charges and keep them in contention for runners-up finish in the league. Ingwe’s next outing will be against their arch rivals and runaway league leaders Gor Mahia in the ever explosive Mashemeji derby on 25 August at Kasarani Stadium. Meanwhile, Gor still have two fixtures before the much awaited clash. K’Ogalo will host Rwanda’s Rayon Sports in the CAF Confederation Cup on Sunday before playing Sofapaka in rescheduled KPL midweek outing. After a barren first half, Leopards returned to break Thika’s resilience through substitute Orotimal for his maiden KPL goal before Odera to his season’s tally to 12 with the second. The win leaves Ingwe joint second in the league standings on 48 points same as Bandari, who enjoy a superior goal difference.